Other Design reviews by real, verified users. Find unbiased ratings on user satisfaction, features, and price based on the most reviews available anywhere. Our goal at Easel.ly is to inspire and enable anyone to represent an idea in a visual way. 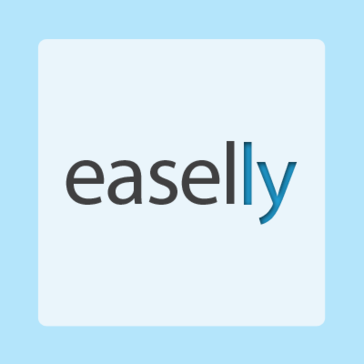 Tens of thousands of small businesses, educators and students use Easel.ly each month to create infographics. Xara Designer Pro is an all-in-one creative title. In one completely integrated and consistent interface it provides all the tools for a range of graphic design tasks that would normally require three or more separate ‘suite’ programs: illustration, photo editing, advanced page layout, web graphics, websites and more. Avocode is a design hand-off tool that makes designs formats accessible to anyone on all platforms. Import Sketch, PSD, AI, XD, or Figma designs without preparing assets, and invite developers to get all assets, specs and auto-generated code for web and mobile projects. Avocode works on Windows, macOS, Linux and in the browser. HTML5 is the latest version of the markup language that is used to create web pages. HTML can include text, images, links, and interactive content. HTML can be used across different browsers making it ideal for providing a consistent desktop and mobile viewing experience. Rational Rhapsody Architect for Systems Engineers is an integrated systems engineering environment for analyzing project requirements. Maintain consistency Systems Modeling Language (SysML) and Unified Modeling Language (UML) enable you to visualize complex requirements and maintain design consistency. Manage change Requirement traceability links requirements to design elements and test cases to help ensure coverage and assess impact of change. Manage complexity Team collaboration capabilities help manage the complexity of developing consistent designs across different environments. Vectr is a web-based graphics editor platform that used to create vector graphics easily and intuitively to bring designs into reality. Advanced design tool for beginners and design professionals. Easily create beautiful logos, business cards, websites, flyers and social media covers. FontBase is a blazing fast, beautiful and free font manager for designers. Zoner Photo Studio X – intuitive, lightning-fast software for your photos. ZPS X is the only software you need for your photos. Download, organize, and edit your photos and share them via photo products and more. All this simply, quickly, and in one place! Join the Zoner Community and its over 10 million users world-wide now! Benefits for Organizations •	Thanks to the intuitive user interface, long training periods are not necessary. •	Batch operations that save lots of time. •	Non-destructive edits for every image format. •	Unlike other programs, ZPS X brings you always faster to your goal. •	Internet access is only for the activation necessary – after that, the software can be used offline. •	Low system requirements and price. •	Tell your organization's story with photos and slideshows. •	Edit, clean up, and organize photos of volunteers and on-site events. •	Plan, share and analyze your photos over social media channels. Major Capabilities •	AUTOMATIC IMPORT: Import (download) photos onto your computer in just a few seconds. ZPS will detect your device and sort your photos, and can even back them up for you immediately. You can keep on working normally during the import. ZPS even has commands for bringing in pictures from a PDF or a scanner. 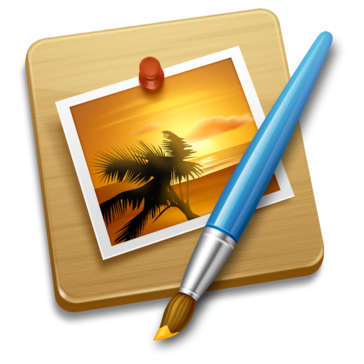 •	EASY ORGANIZATION: Organize your photo archive however you prefer and browse photos by their location, date taken, keywords, or folders. Add descriptions, GPS coordinates, keywords, colored labels, ratings, and more easily. They’ll save you lots of time searching for pictures later. With batch operations, all this goes even faster. And above all, none of it ever changes the organization that you choose for your photos. •	NON-DESTRUCTIVE EDITS: Non-destructive edits are edits you can take back at any time, and they never degrade your photos. Find them in the Develop module: from exposure and color adjustments, to straightening, cropping, and more. 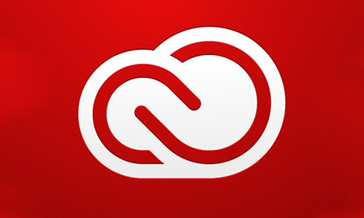 •	UNLIMITED EDITING POSSIBILITIES: The Editor module offers many ways to edit your photos. The sky’s the limit! ZPS X offers work with layers, retouching, blending modes, color and exposure correction, smart sharpening and blurring, dehazing, Dodge & Burn brushes, HDR, perspective correction, cropping, automatic edits, lens flare, a radial filter, improved noise reduction, cloning of objects, various filters, and much more. •	SIMPLE SHARING: Show off your creations in just a few clicks. Besides sharing over social networks and email, you can also use ZPS to work with photos stored on your Facebook account, Google Disk, Dropbox, or OneDrive. Naturally our Zonerama on-line gallery is integrated too. Present your photos using the built-in full-screen viewer, or even via our video maker. •	FAST PHOTO PRODUCTS: Turn your photos into gifts (books, calendars, canvas prints, and many more stylish objects) for your loved ones from right inside of ZPS X. Or send them a ZPS photo postcard! MyPhotoApp is a powerful mobile marketing channel. PagePlus is a desktop publishing tool by Serif. LogoMaker enables users to design and create logos instantly. StoryChief is a brand new tool that lets you push your content to different publishing channels. It has a universal editor that lets you create beautiful stories with ease, making them look as they should on all your channels and the tool measures your impact in one place. DesignCap is an online poster and flyer maker to help you turn creativity into striking posters and flyers with great ease so that to save your time and energy. It provides you with a platform to make your own persuasive and excellent posters and flyers with various themes templates and affluent element. DesignCap offers many professional editing tools for customizing your posters and flyers the way you want, such as adjusting size, position, rotation, changing text font, color, effect, alignment, applying specific background and managing layers. Nothing can stop you from unleashing your creativity to create persuasive posters and flyers. Elegant Themes creates premium WordPress Themes coupled with advanced functionality and awesome support. Free Logo Creator is a website for businesses and entrepreneurs to create logos free of charge. Icons8 App contains 38600 icons in multiple sizes (from 25x25 to 512x512 px) and formats (PNG, SVG, EPS, XAML, ICO). The icons are designed in 7 different styles: iOS, Windows 10, Windows 8 and Android, Material, Color and Office. All PNG files up to 100x100 px are free and included in the app. Vectors and bigger PNGs are available for a fee. Nimbus Capture is a screen capture tool tocapture specific fragments or full screen view. Icons for everything Over a million curated icons, created by a global community. PixelGrade provides a solution to create Wordpress blogs. WriteMaps helps you make sitemaps and gather content. Make beautiful sitemaps at the speed of light, and collect content from your clients via a simple interface in an organised manner. Coolors is an color schemes generator for designers. DreamTemplate offers templates for websites, word, presentations flash technology. PowerPoint presentations made easy. Sign up, download, and make the perfect slideshow in minutes--one that's sure to make the impression you want to make. IcoMoon's icon library features only the very best icon sets out there. 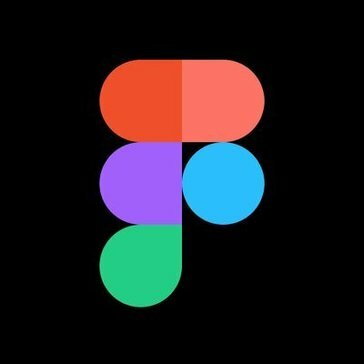 All of their icons are designed on a precise pixel grid. The IcoMoon app lets you build and use your own icon packs in many different formats including SVG, Polymer, PDF, XAML, CSH, icon font or simple PNG/CSS sprites. Hi there! Can I help you find the best Other Design solutions?